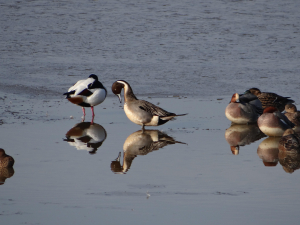 Observation - Pintail and Reflection - UK and Ireland. Description: Bird in centre white stripe on neck. Bird in centre white stripe on neck.